When you look outside and see robins hopping in the yard, geese flying north and snow crocus blooming, you know it is almost spring. You know what this means? It’s time to dust off those planting flats, and get dirty. We need to get ready for the day when we can go outside and start doing one of the hardest jobs that we love. Gardening. I’m sure you were like me, receiving gardening catalogs in January. Oh, the anticipation of ordering is strong. As we look through the glossy pages of mouthwatering vegetables and beautiful flowers to plant, we soon have more plants than we have room for. Now is the time to look through them in earnest for the plants you want to grow. First, make a list. Be specific in your list. What color do you want your tomatoes to be or the length of the carrots or radishes? Do you want to grow hot peppers, sweet peppers or both? Garden catalogs offer a huge selection of seed, and if you can decide beforehand what you want, you can eliminate those overwhelming feelings. Once you have your list, you can then sit down to order the seeds or plants. You can go online to order seed, buy them from one of the many garden catalogs, or go to your local garden center or Wal-mart. You can even buy seeds at the dollar store. This year, I ordered my heirloom tomato seeds, and in a short time, I will be ordering my cucumber, squash, and pumpkin seeds. I also have a variety of herb seeds waiting for me to plant. Most seeds are easy to germinate. Just follow the directions on the seed packet for great results. 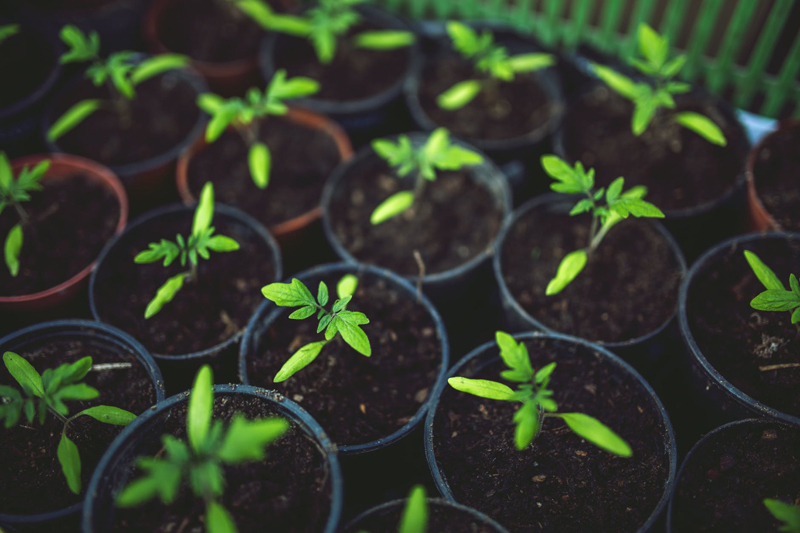 March is the time for many of us to start sowing seeds inside, that way when the soil warms outside, your plants will be big enough to plant in the garden. When you grow your own plants, it cuts out the middleman, saving you a ton of money. Clean and sharpen your garden tools. Ok, this is not my favorite job, and I have the tendency to put it off for as long as possible. Like when I actually need to use my garden tools. But this year is going to be different. The edges of the shovel, spade, and hoe need to be sharpened. And don’t forget the blades of your pruning shears or nippers. If you don't know how to sharpen your tools, take them to a professional. Usually someone at your local hardware store will do the job for you. After you have the blades sharpened on your pruning shears or nippers, squirt a little oil on the spring and over the blades. Don’t forget to wipe the excess oil away. It will be so nice to take care of these details before you need them. Dull tools make the job so much harder. Sharp blades will slice through the soil and cut off branches with ease. This is also the time to make sure the tiller, lawnmower and chainsaw is in working order. Nothing is more discouraging than grass growing high from the spring rains, your neighbors out mowing and you trying to start the mower. Now is the time to change the oil, and sharpen the cutting blades. I always find that the battery needs charging too. This also applies to your tiller. You’ll need to check the motor, maybe change the sparkplugs, and sharpen the tines. By taking care of this now, you can be ready to garden when the time comes. After the snow is gone and the plants are starting to wake from their winter slumber, you’ll need to remove the thick layer of mulch you had protecting the perennials. You can also clear off the vegetable garden, but don’t walk on the ground too much or the soil will compact.